Why Choose a Radiant Heating System? New Hampshire is a very cold place to be throughout the heating season. If you hope to make it through the winter comfortably, you are going to need to have a great heater installed in your home. If you are currently weighing your options when it comes to heating your home, we strongly recommend radiant heating in New Hampshire. There are a lot of great forced air heating systems out there, of course, but the fact is that radiant heating offers some benefits that are really tough to compete with. 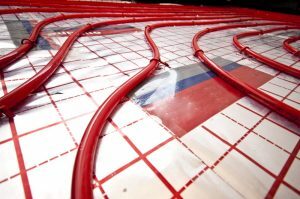 The installation of a radiant heating system is a big job, and it may not make sense to have a radiant heating system installed in an existing home. Due to the nature of the system, they are most easily installed at the time of construction. If you have a new home going up, are renovating your existing home, or you don’t mind dealing with a pretty involved installation process in order to enjoy long-term benefits, then let us know and we’ll help you to decide if radiant heating is right for you. Posted in Heating | Comments Off on Why Choose a Radiant Heating System? Will Ductless Heating Get the Job Done? Heat pump technology is an outstanding way in which to heat one’s home with minimal energy consumption and the cost that comes along with it. As you may know, heat pumps do not burn a fuel source to generate heat. Instead, they use a refrigerant cycle to absorb heat from the air outside, compress the refrigerant, and then use its heat in order to warm the interior living space. The question that many have is whether or not this method of heating is sufficient in as cold a climate as Vermont. Fortunately, the answer is yes — for the most part. 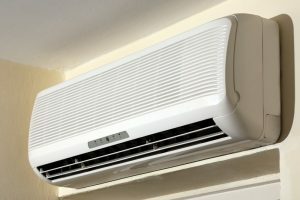 Ductless mini splits do have their limitations and, as is the case with any heating system, they are not right for every home or for every homeowner. Consider the following information, though, and let us know if you have any questions. We install and service Mitsubishi and Fujitsu ductless mini splits in Woodstock, VT, and we can help you to get the best from yours if you decide to go this route. Posted in Heating | Comments Off on Will Ductless Heating Get the Job Done?